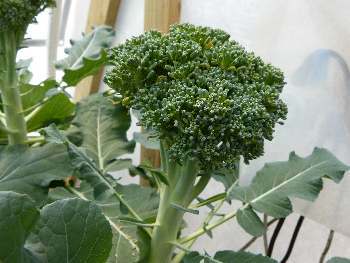 You surely have heard of hydroponic gardening; but do you really know what it is? And yes, hydroponics is used for much more than just cannabis production, like you may have seen on the newsreels. 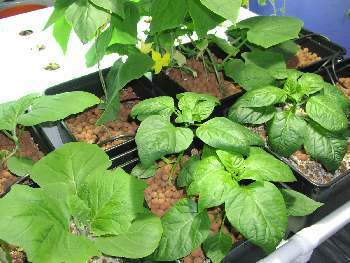 In order to understand the hydroponic method, you need to know how plants grow. They require light, air, water and nutrients. And those nutrients can come from different sources: soil, fertilizer or hydroponic nutrients. Plants do not need soil to survive; they only need the nutrients that soil carries. 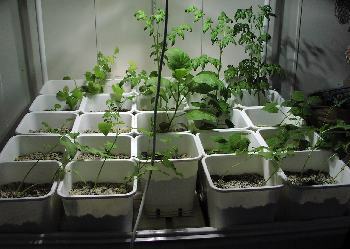 In the hydroponic gardening method, plants are suspended in an inert medium, like clay balls or rockwool, or supported in a frame which leaves their roots exposed to liquid or aerosolized nutrient solution. 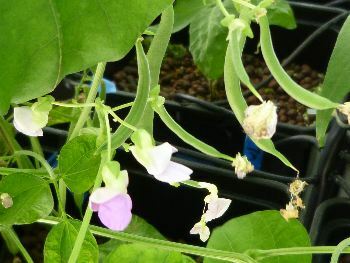 The hydroponic media do not provide any nutrition; they are "neutral", and only there to support or hold up the plants. Then either a passive (wick/deep water) or active (pump) hydroponic apparatus circulates nutrient solution around it's roots. The liquid nutrient solution used in hydroponics is different from fertilizer used to supplement soil-based plants. You cannot use Miracle Gro in hydroponic gardening. Hydroponic nutrients are specially formulated to supply every mineral a plant needs, in just the right proportions. All of the plant's nutrition is provided only by this solution. 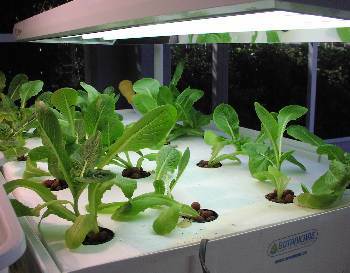 In short, the hydroponic gardening method delivers the perfect food a plant needs, directly to it's roots. 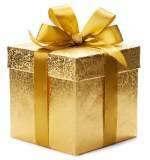 This keeps it from spending it's energy on the root system, searching and reaching for food and moisture. That energy instead is spent growing massive leaves, abundant fruits and flowers. 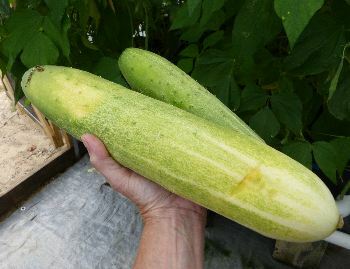 We have seen this phenomenon up close and personal, having produced enormous cucumbers and beautiful, large broccoli heads, as well as impressive crops of tomatoes and large crisp leaf lettuce. 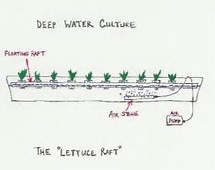 Out of the hydroponic systems we use and recommend, two are "passive systems" (AutoPot Wick System and the Deep Water Lettuce Raft). The rest are active systems which rely on a small pond pump to move the nutrient solution through the apparatus. Of these active systems, we rely heavily on our Ebb & Flow Tray and Top Drip Bato Buckets. 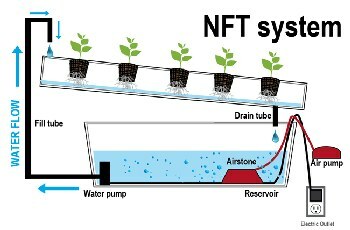 There are also some more complex systems available, like Aeroponics and Nutrient Film Technique (NFT). The AutoPot Wick System is a no-brainer. It can be left for a couple of weeks and survive on it's "wick action", as long as there is solution left in the reservoir. The drawback is AutoPots do not provide the explosive growth and high production of the other methods. 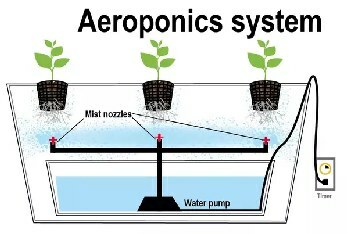 Read more about AutoPots here: Hydroponics-Simplified Kits. In this super-simple system, leafy green plants are set into small net pots, which are then held by a slab of styrofoam. The entire slab or "raft" then floats on a shallow vat of nutrient solution. 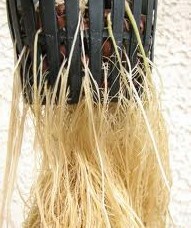 The roots of the plants dangle in the solution. 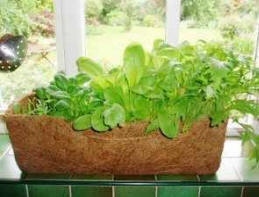 Lettuce rafts are fun and prolific; easy for children to work with. 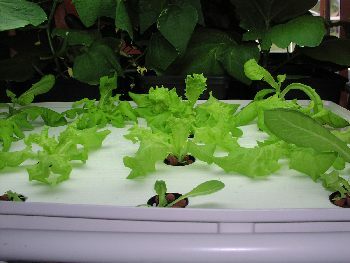 Read more about Lettuce Rafts here: Hydroponics-Simplified Kits. 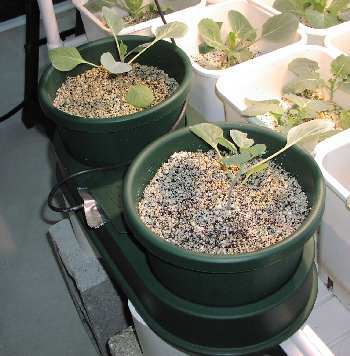 In the Ebb and Flow system, pots containing clay balls and perlite media are set into a shallow tray. The tray is situated over a large reservoir of nutrient solution. A small pump periodically kicks on, flooding the tray with solution, which then saturates the plant pots. Ebb & Flow could be called the "Hydroponic Workhorse"; it is dependable, simple to understand and operate, and also promotes lush growth. 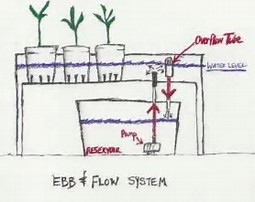 Read more about Ebb & Flow here: Hydroponics-Simplified Kits. 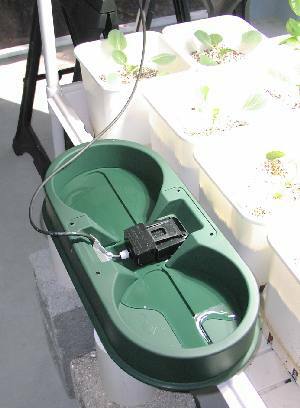 Bato buckets are specially designed to keep a small reservoir of nutrient solution in the bottom of each planted pot, for safety. Fresh solution is dripped onto the top of the planting media 3-4 times a day. The excess drains into a series of PVC pipes and is routed back to the main reservoir. Bato buckets work very well for us, and are deep enough to grow small root plants like carrots and radishes. 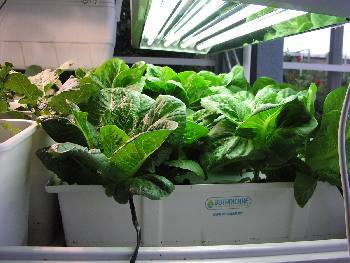 Read more about Bato Buckets here: Hydroponics-Simplified Kits. We advise avoiding these two advanced hydroponic systems until you have quite a bit of hydroponic experience under your belt. Although these systems probably provide the most lush plant growth of all, they must be carefully monitored. If the power goes off, the roots immediately dry out, and all your plants can die within an hour. 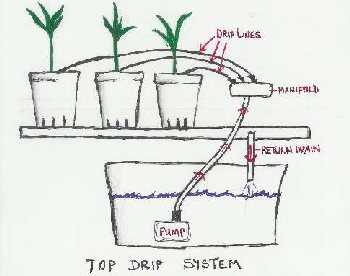 This website is great to help you get started in hydroponics, and this page tells all about some great all-inclusive Hydroponic Gardening Kits we recommend: Hydroponics-simplified.com. Hydroponics sound like too much trouble? Explore the simplest and most labor-free soil-based gardening method here: Square Foot Gardening. Once you have cooked with fresh-harvested herbs, you will never go back to the tasteless bottled ones. We keep a fresh herb garden growing on our kitchen counter all the time. It looks great and provides us with all the culinary herbs we need. Find out which hydroponic herb gardening kit we recommend here: Hydroponic Herb Gardening Kit. 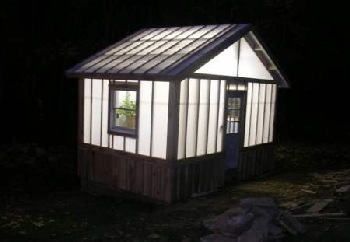 Or go first class with a Greenhouse! Nirvana!